If you have any information about these crimes or any person(s) involved, you are urged to call Crime Stoppers at 1-800-873-TIPS(8477) or submit a Web Tip . You do not have to give your name. CRIME STOPPERS will pay a cash reward of up to $3000 and you can remain anonymous. On January 12, 1998, the victim, who was also the owner of the Green Key Beach Hotel located at 6434 US Highway 19 in New Port Richey, was stabbed while at his place of business. 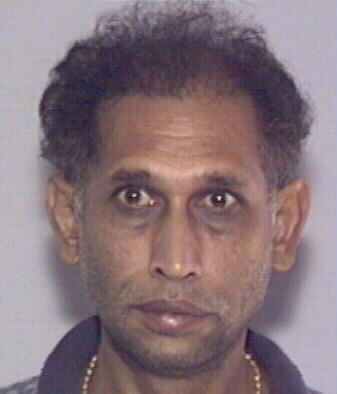 The victim, who died as a result of the injuries he sustained, was identified as Chandrahas Patel. A witness observed the suspect standing over the victim while holding a knife. Based on information from the witness, a composite sketch of the suspect was prepared. The witness described the suspect as a white male, early 20's, 5'08" to 5'10", heavy build, big buttocks and wearing a black beanie cap. Crime Stoppers of Tampa Bay is offering a reward of up to $3,000 for information that leads to the identification and arrest of the unknown suspect(s) involved in this case. Anyone with any information regarding the identity of the suspect(s) and who wants to be eligible for a cash reward is asked to call Crime Stoppers at 1-800-873-TIPS (8477), report anonymously online at www.crimestopperstb.com, or send a mobile tip using the P3 Tips Mobile application. Crime Stoppers must be contacted first in order to be eligible for a cash reward. 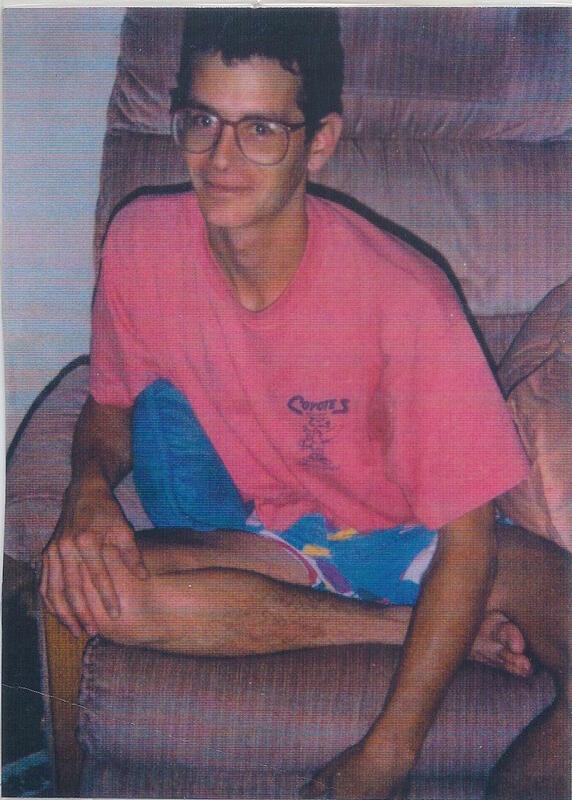 Today marks the 22nd anniversary of the murder of Tampa resident Brian Schuch. Brian Schuch, pictured here, was violently murdered on July 21, 1994, in the 700 block of Caracas Street. Following the murder, the victim`s 1989 Mazda truck was stolen and later recovered in East Tampa. Despite the continuing efforts of the Tampa Police Department`s Homicide Unit, this case remains unsolved. Crime Stoppers of Tampa Bay is offering a reward of up to $3,000 for information that leads to the identification and arrest of the unknown suspect(s) involved in the homicide of Brian Schuch. Anyone with any information regarding this case and who wants to be eligible for a cash reward is asked to call Crime Stoppers at 1-800-873-TIPS (8477), report anonymously online at www.crimestopperstb.com or send a mobile tip using the P3 Tips mobile application, which is a free download for iPhones and Droids. Crime Stoppers must be contacted first in order to be eligible for a cash reward. On February 8, 2010 Anderson Evelyn was found deceased in a wooded area near Taylor Road and Skewlee Road in Thonotosassa. Evelyn died as a result of gunshot wounds. Through the investigation, it was learned by detectives that Evelyn had been lured to the scene under the guise of giving an estimate to clear a wooded area. The suspect(s) knew this was the line of work that he performed and by all appearances the homicide was personal in nature. Witnesses said a white in color GMC Jimmy or Chevrolet Blazer was seen in the area at the scene while the victim`s truck was there. 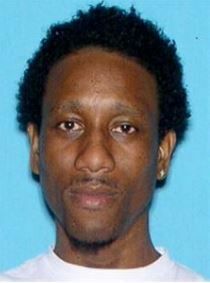 Crime Stoppers of Tampa Bay is offering a reward of up to $3,000 for information that leads to the identification and arrest of the unknown suspect(s) involved in the homicide of Anderson Leroy Evelyn. Anyone with any information regarding this case and who wants to be eligible for a cash reward is asked to call Crime Stoppers at 1-800-873-TIPS (8477), report anonymously online at www.crimestopperstb.com or send a mobile tip using the P3 Tips Mobile application, which is a free download for iPhones and Droids. Crime Stoppers must be contacted first in order to be eligible for a cash reward. On January 24, 2016 at 5:11 pm, the Plant City Police Department received a 911 call regarding the discovery of a deceased person at 1319 E. Ohio Street in Plant City. The victim, Reginald H. Brown, 36 years of age, was discovered inside of the residence with upper body trauma that law enforcement believe to be from gunfire. See photo of victim. 1-800-873-TIPS (8477), report anonymously online at www.crimestopperstb.com or send a mobile tip using the P3 Tips Mobile application, which is a free download for iPhones and Droids. Crime Stoppers must be contacted first in order to be eligible for a cash reward. On March 14, 1988 the skeletal remains of a black male were discovered in a wooded area in Flatwoods Wilderness Park on the west side of Morris Bridge Road, 1.2 miles north of the Hillsborough River. The victim is believed to be between 28 and 34 years of age, 5`06" to 5`08. The victim suffered from two bullet holes to the head approximately one to three days prior to the discovery of his body. Clothing found with the victim were a medium sized t-shirt which said "Drunken State" on the front, designer jean pants, white socks with blue trim and black "Pro-500" high-top sneakers size 8 1/2. Also found nearby was a blue nylon tri-fold Velcro wallet with a patch that had "merit" inscribed. It is believed that the victim was born on the west coast of the United States but spent a significant amount of time in either Germany, the United Kingdom or Japan just prior to his death; which might suggest he was in the military. Crime Stoppers of Tampa Bay is offering a reward of up to $3,000 for information that leads to the identification and arrest of the unknown suspect(s) in this case. Anyone with any information regarding this case and who wants to be eligible for a cash reward is asked to call Crime Stoppers at 1-800-873-TIPS (8477), report anonymously online at www.crimestopperstb.com or send a mobile tip using our new P3 Tips Mobile application, which is a free download for iPhones and Droids. On March 14, 2009 the skeletal remains of a Hispanic male juvenile believed to be between 12 and 16 years old was discovered in the wooded area near Palmetto Road and Surona Road in Wimauma. His height was between 4`09" and 5`04" and it is believed that he died between 6 months to 5 years prior to his body being discovered. The victim had three fractures to his skull and two fractures to his ribs. The cause of death was determined to be blunt force trauma to the head. Clothing found with the victim were a pair of "Ice Pole" jeans with a 30 inch waist by 29 1/2 length, black nylon Chopper brand wallet with a chain, red lighter, cigarettes and cigarette wrappers and a "La Tarjeta Gorda" telephone card. It is believed the juvenile was born in either Guatemala or the Oaxaca region of Mexico. On July 16, 1990 the skeletal remains of a white male estimated to be between 40 and 60 years old was found partially inside a sleeping bag approximately 1/4 mile south of State Road 54 on the east side of what was Smith Road (presently the exit of Meadow Point Neighborhood) in Wesley Chapel. His height is estimated between 5`07" and 5`09" and several teeth were missing, however the remaining teeth were most likely worn from chewing tobacco. The victim sustained a large skull fracture on the right front area of his head. The homicide was believed to have occurred one to five years prior to the discovery of his body. Clothing found with the victim were dark blue "American Eagle" pants, 36 inch waist and 32 length and the remnants of brown corduroy "Britannia" pants, black suspenders with red stripes, remnants of a light t-shirt, the neck liner of a jacket or sweatshirt, black 8 1/2 EE men`s shoes and remnants of a red stocking cap with a white stripe. Also found near the victim was a metal ring with a turquoise inlay peace sign. On February 2, 1981 the skeletal remains of an unidentified adult black male approximately 40-50 years of age was discovered in a ditch between US 98 and the railroad tracks at Tuskegee Avenue in Dade City. He was wearing a pair of dark blue or black polyester, 30-inch inseam trousers, ankle high black leather soled shoes and a black baseball cap. The victim was found with two foil and plastic bags that are believed to have held chewing tobacco, two keys and five quarters. 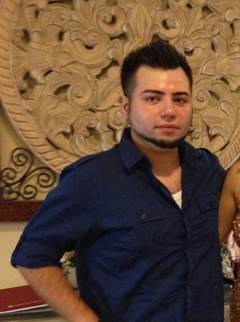 On 5/17/13 Daniel Hernandez-Salgado was killed during a home invasion that occurred at 8003 Sequester Loop in Land O` Lakes. Pasco County detectives are asking for anyone with information to come forward. Crime Stoppers of Tampa Bay is offering a reward of up to $3,000 for information that leads to the identification and arrest of the unknown suspect(s) in this case. Anyone with any information regarding this case and who wants to be eligible for a cash rewards is asked to call Crime Stoppers at 1-800-873-TIPS (8477), report anonymously online at www.crimestopperstb.com or send a mobile tip using our Tipsubmit Mobile application, which is a free download for iPhones, iPads and Droids. On June 15, 2013, the victim, Brando Julian Mosquera, 4/21/1985, was found deceased in a hotel room at the Days Inn located at 2901 Busch Boulevard East in Tampa. The case is still unsolved and detectives are asking for anyone with information to come forward. Crime Stoppers of Tampa Bay is offering a reward of up to $3,000 for information that leads to the identification and arrest of the unknown suspect(s) in this case. Anyone with any information regarding this case and who wants to be eligible for a cash reward is asked to call Crime Stoppers at 1-800-873-TIPS (8477), report anonymously online at www.crimestopperstb.com or send a mobile tip using our TipSubmit Mobile application, which is a free download for iPhones, iPads, and Droids. On June 28, 2015 at approximately 12:30 am, near the intersection of N. 40th Street and E. Crawford St. in Tampa, witnesses observed an SUV strike the victim and continue to travel southbound on N. 40th Street. The suspect vehicle is described as a newer model, dark, full size SUV and is comparable to either a Chevrolet Tahoe or a GMC Yukon. Crime Stoppers of Tampa Bay is offering a reward of up to $3,000 for information that leads to the identification and arrest of the unknown suspect in this case. Anyone with any information regarding the identity of the suspect and who wants to be eligible for a cash reward is asked to call Crime Stoppers at 1-800-873-TIPS (8477), report anonymously online at www.crimestopperstb.com or send a mobile tip using the P3 Tips Mobile application, which is a free download for iPhones and Droids. Crime Stoppers must be contacted first in order to be eligible for a cash reward. On June 27, 2015 at 2:20 am, an unknown suspect(s) shot the victim, Kirk Tyrone Chang, black male, 9/22/1974 near the intersection of 30th Street N. and Osborne Avenue E. in Tampa. Witnesses in the area heard gun shots and observed the victim running then collapse in the roadway. Kirk Chang died as a result of the injuries sustained. Crime Stoppers of Tampa Bay is offering a reward of up to $3,000 for information that leads to the identification and arrest of the unknown suspect(s) involved in the homicide of Kirk Chang. Anyone with any information regarding this case and who wants to be eligible for a cash reward is asked to call Crime Stoppers at 1-800-873-TIPS (8477), report anonymously online at www.crimestopperstb.com or send a mobile tip using the P3 Tips Mobile application, which is a free download for iPhones and Droids. Crime Stoppers must be contacted first in order to be eligible for a cash reward. On March 22, 2015 at 5:02 am, TPD responded to a 911 call reporting that a person had been shot. Officers located Bryant Murray, black male, 2/3/1971 in the front yard of 1743 Walnut Street W. in Tampa suffering from a gunshot wound. He was transported to the hospital where he died from his injuries. The victim, Herbert M. James, black male, 5/25/1989, died as a result of a fatal hit and run accident at 40th St. and Deleuil Av. in Tampa on March 22, 2015 just after 3am. The victim turned southbound onto 40th St. at Deleuil Av. when his car was struck by the suspect vehicle, a rented 2015 Chevrolet Camaro. The driver, described as a black male, fled the scene on foot. 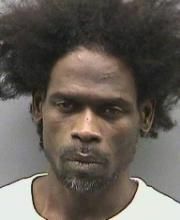 On March 9, 2015 at approximately 11:00 pm, the victim, Livingston Hoyte, black male, 1/5/1981, was found lying on the sidewalk in front of his residence of 5639 Cheyenne Dr. in Holiday. Livingston had been shot multiple times by an unknown suspect and died as a result of his injuries. Crime Stoppers of Tampa Bay is offering a reward of up to $3,000 for information that leads to the identification and arrest of the unknown suspect(s) involved in the homicide of Livingston Hoyte. Anyone with any information regarding this case and who wants to be eligible for a cash reward is asked to call Crime Stoppers at 1-800-873-TIPS (8477), report anonymously online at www.crimestopperstb.com or send a mobile tip using the P3 Tips Mobile application, which is a free download for iPhones and Droids. Crime Stoppers must be contacted first in order to be eligible for a cash reward. On December 18, 2014 at approximately 1:51 am, two Hispanic males were found to have gunshot wounds to their upper torso. Investigators believe the unsuccessful home invasion/robbery was attempted at 205 Johnson St. S., in Plant City. Ultimately, both victims died as a result of their injuries. There is no suspect description to provide at this time. Detectives are asking for assistance from the public to solve this double homicide. Crime Stoppers of Tampa Bay is offering a reward of up to $3,000 for information that leads to the identification and arrest of the unknown suspect(s) in this case. Anyone with any information regarding the identity of the suspect and who wants to be eligible for a cash reward is asked to call Crime Stoppers at 1-800-873-TIPS (8477), report anonymously online at www.crimestopperstb.com or send a mobile tip using the P3 Tips Mobile application, which is a free download for iPhones and Droids. Crime Stoppers must be contacted first in order to be eligible for a cash reward. On March 7, 2015 at approximately 11:45 pm, Tampa Police Officers responded to a call of gunshots at Chic`s Bar located at 9002 Florida Av. N. in Tampa. They discovered two victims lying in the back parking lot with gun shot wounds. One victim is in the hospital listed in critical condition. 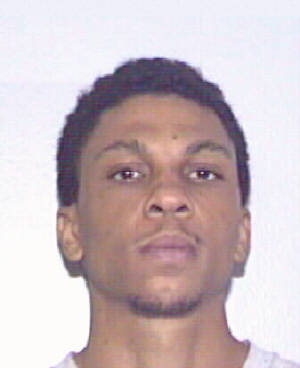 David Darryl Cooper, white male, 4/21/1982, was pronounced deceased at the hospital. Detectives believe this incident may be drug related. Crime Stoppers of Tampa Bay is offering a reward of up to $3,000 for information that leads to the identification and arrest of the unknown suspect(s) involved in the homicide of David Darryl Cooper. Anyone with any information regarding this case and who wants to be eligible for a cash reward is asked to call Crime Stoppers at 1-800-873-TIPS (8477), report anonymously online at www.crimestopperstb.com or send a mobile tip using the P3 Tips Mobile application, which is a free download for iPhones and Droids. Crime Stoppers must be contacted first in order to be eligible for a cash reward. 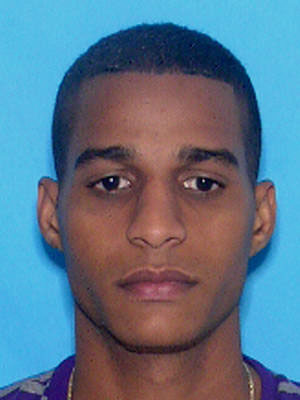 Tampa Police detectives are investigating the shooting death of 31 year-old Roberto Cruz-Gomez, pictured below, of Tampa, which occurred on February 21, 2015 at approximately 2:30 am at 7007 N. Armenia Avenue in Tampa. The incident originated as a verbal altercation inside Rumba Bar and Grill also known as Red International Bar. The subjects involved exited the bar and became involved in a physical fight in the parking lot of the bar and the neighboring business. Three suspects produced firearms and shot the three victims. Victim Cruz-Gomez died at the scene as a result of his injuries. The other two victims suffered non-life-threatening injuries. The three suspects are described as white, Hispanic males in their mid to late 20’s, 5’6”-5’10” tall, last seen fleeing from the scene in a black, 4 door BMW. Crime Stoppers of Tampa Bay is offering a reward of up to $3,000 for information that leads to the identification and arrest of the unknown suspects involved in the homicide of Roberto Cruz-Gomez. Anyone with any information regarding this case and who wants to be eligible for a cash reward is asked to call Crime Stoppers at 1-800-873-TIPS (8477), report anonymously online at www.crimestopperstb.com or send a mobile tip using the P3 Tips Mobile application, which is a free download for iPhones and Droids. Crime Stoppers must be contacted first in order to be eligible for a cash reward. 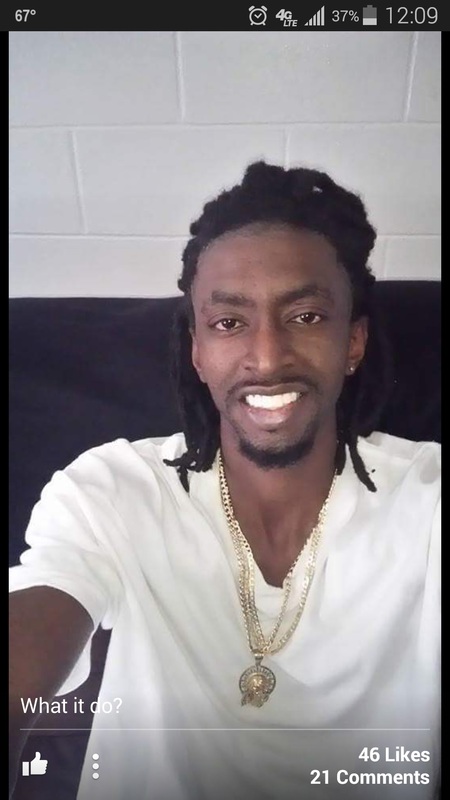 On February 9, 2015, twenty-eight year old Reginald Hightower, pictured here, was shot to death at the Columbus Court Apartments located at 2802 Statelite Ct in Tampa, FL. According to Tampa Police Department detectives, three masked suspects, one of which was armed with an assault rifle, fired on the victm as he sat on an electrical box in the courtyard. The victim was struck multiple times and died at the hospital. 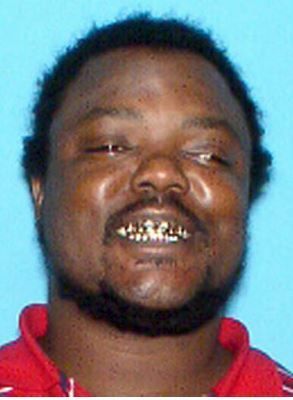 Crime Stoppers of Tampa Bay is offering a reward of up to $3,000 for information that leads to the identification and arrest of the unknown suspect(s) involved in the homicide of Reginald Hightower. Anyone with any information regarding this case and who wants to be eligible for a cash reward is asked to call Crime Stoppers at 1-800-873-TIPS (8477), report anonymously online at www.crimestopperstb.com or send a mobile tip using the P3 Tips Mobile application, which is a free download for iPhones, iPads, tablets and Droids. Crime Stoppers must be contacted first in order to be eligible for a cash reward. On May 23, 2014 at approx. 11:27 am, Marcus L. Williams, black male, 5/7/1982, (see photo below) was killed in the parking lot of the Claymore Crossings Apartment Complex located at 5005 Claymore Drive, Tampa. The homicide occurred during a carjacking and a large drug transaction. The victim`s vehicle has been recovered by law enforcement. Detectives have gathered information during the investigation confirming the suspects went to the Highlands County/Avon Park area after the murder in an attempt to sell the drugs taken during the carjacking. The victim and suspects have been linked to Polk, Orange and Pasco counties. One of the suspects is described as being a black male, 20-30 years of age, thin build, brown hair and was wearing a green jacket.